Tax Simplification – There’s a long way to go! See the latest edition of UK tax legislation on my desk. 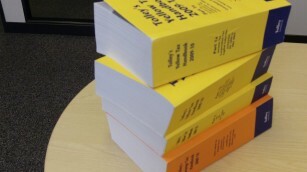 It runs to over 21,000 pages – this does not include the recently published Finance Act 2010! So if your tax advisor ever says “….well, its not quite that simple….” in response your straightforward question or otherwise perfectly logical suggestion, hopefully this well help … Read moreTax Simplification – There’s a long way to go!